As I already mentioned on the FPV camera page, we are using analog cameras so obviously the FPV video transmitter is an analog RF transmitter. They are fairly inexpensive and give good range (provided a good antenna is used - covered in more detail in the FPV antenna section). There are two main factors when deciding on your video transmitter and that is the frequency you transmit on and the output power level. 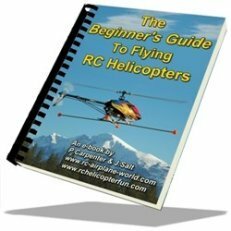 The lower the frequency the better the signal can penetrate through objects so if your goal is to fly behind large stands of trees, buildings, or hills; getting a 900MHz may be the best bet. The issue with lower frequencies is the antennas have to be larger so if space and portability are a concern, then you will be better served with higher frequencies and stick to line of sight flight (oh, if it were only that simple). Next factor to take into account is what frequency your radio system operates on. 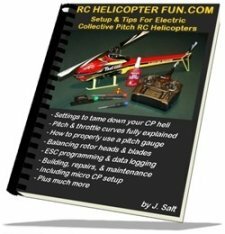 I think it's a safe bet to say the majority of people reading this are running on 2.4GHz radio systems so that is the example I will use here, but the same principles apply when choosing an FPV video frequency with any radio system frequency. The golden rule to follow here is "Thou shalt not transmit video on the same, close to, or multiple harmonic of the frequency my radio system uses". So, if you fly with a 2.4 GHz radio, you can scratch 2.4 & 2.3 off your list. You can also scratch 1.2 off - why? Well, 1.2 x 2 = 2.4 and it's possible to get a 1.2GHz harmonic resonating at 2.4GHz. All of a sudden our list has been cut in half and we are left with 900 MHz, 1.3GHz, and 5.8GHz. 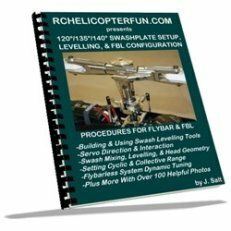 If you have a GPS antenna on-board your FPV RC aircraft, you can now throw 1.3GHz out of the race as well. GPS operates at 1.5GHz and 1.3GHz so with a nice video transmitter and antenna screeching out in the same or close to band, your GPS signal could and likely will get partially knocked out. This leaves you with two choices, 900 and 5800MHz (same thing as 5.8GHz). Remember, 900MHz needs big antennas and in most areas also requires a radio operators licence to use legally; which is incidentally something you should check into no matter what frequency you transmit on as many countries have strict regulations on what frequencies and power levels you can lawfully use either with or without a special amateur's radio operating license. The other issues with 900MHz is the video transmission image quality is not as good and there can be many other noise sources transmitting near this frequency such as cell networks so the lower frequency bands are more likely to experience noise and interference issues. Leaving us with good old 5.8GHz. This in my opinion (at least if you fly with a 2.4GHz radio system and have GPS on board your aircraft) is the best all round choice for your first attempt at FPV. Yep, it's what frequency I also chose for all the above reasons not to mention the Fat Shark Dominator video goggles I use came with a built in 5.8GHz receiver option keeping my ground station as simple, small, light, and transportable as possible. 5.8GHz is out of most other transmitting frequencies so it tends to also be the "quietest" and usually provides the best quality video signal. 5.8GHz antennas are also smallest of the bunch so that saves not only space, but a little money as well. The only real issue with 5.8 is it has next to no penetration ability, meaning even flying behind a tree or shrub can mess the image up. It's also not great for long range flying because high frequency wave energy is absorbed in the air by humidity or other atmospheric particulates much easier than lower frequency waves. Again for a FPV beginner, 5.8GHz is generally the best overall match due to it's simplicity and lack of conflict with other frequencies. All that said, if you fly on another radio frequency (perhaps an older 72 or 35 MHz radio), using a 2.4 GHz video transmitter is a great all round choice. Speaking of older analog 72 & 35 MHz PPM radios; they are wonderful for FPV aircraft giving improved control range! So if you have one kicking around or find one on eBay really cheap, most medium distance FPV'ers highly recommend them. Next up is the power of the FPV video transmitter. This will be listed in mW and the golden beginner power rule here is never go more than about 500 to 600 mW maximum. That's huge amounts of transmit power for FPV and with good directional antennas can take you well past 20 km even on 5.8 GHz! You'll never need to go higher than that power level and many people fly at much lower power levels (250mW for example) without issue. Yes, there are certainly some 1 and 2 Watt FPV transmitters out there but all they will do while screaming away is likely take out your radio or GPS reception & drain your battery down quicker. Good antennas give you improved range in this FPV game, not more powerful transmitters. With my particular setup, I'm getting up to 3 kilometers (about 2 miles) of viewable video on a good day (dry dust free air), and still have good radio control at that distance (JR X9503 radio with a Spektrum AR8000 receiver). I'm by the way using an Immersion RC 600mW 5.8GHz FPV video transmitter so it's on the extreme edge of having almost too much video transmit power output; but it does have enough "punch" to allow me to fly behind trees and shrubs with 5.8GHz when I'm flying fairly close to my location. To be honest, that is the only time I've felt the need to fly that low (flying close in). Most of the time I like to fly at 50 to 100 meters above the ground and am always in line of sight at that altitude. The large majority of FPV video transmitters also allow you to choose between several different transmit channels within the specific frequency band. For example, that Immersion 5.8GHz transmitter I use has seven different channel selections (5.740, 5.760, 5.780, 5.800, 5.820, 5.840, 5.860GHz). This allows you to "fine tune" your setup for the best image transmission if one channel for example seems a little nosier than the others (provided of course your ground station receiver also has the ability to receive the same multiple channels within the band). Keep that in mind! Not all TX & RX systems (even if they are in the same bands) transmit on the same exact channels. For example Immersion RC works with Fat Shark's channels. Channels are listed in the specs of both TX and RX's so just have a peek at the specifications to make sure your transmitter is compatible with your receiver channels. Lastly, I should make mention of one other little item to be aware of with FPV video transmitters and that is the type of RF antenna connection they use. 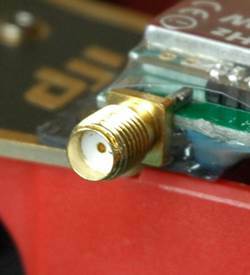 The vast majority of FPV video transmitters, receivers, and antennas use SMA (sub miniature version A) thread on coaxial RF connectors. Just keep this in the back of your head when looking at the component specifications in case you happen to get an oddball transmitter that doesn't use the standard SMA, but the antenna you plan on using with it does. If that's the case you'll have to get the correct coaxial adapter. Transmission/antenna warning... No matter what transmitter or antenna you use, never-never turn your video transmitter on without the antenna attached. This will quickly burn out the video transmitter if it's not allowed to radiate the RF energy out through the antenna. As I mentioned in the opening chapters on the FPV RC page, FPV is all about compromise. Choosing your video transmit frequency & power perhaps best represents this more than any other single FPV decision you will have to make. Antennas are right up there as well - our next topic!